Hayden has autism. He spoke a few words at 15 months of age. Then after he received a vaccination, he did not speak again until he was 3½ years old. 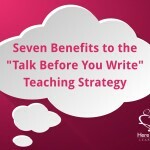 Speech development was painfully slow coupled with many other challenges. But autism does not define Hayden. He is a talented young man who loves the Lord and enjoys his family. Highs and lows dot the family’s special needs journey. They count on God’s miracles every day. His mother, Kimberly told me that at five years of age, Hayden would become visibly upset when he would see a business shut its doors for good. “When he saw a going out of business sign, he would close his eyes and cry.” She said. However, he lamented for unselfish reasons. “If the business doesn’t do business, then the owners can’t make money. If the owners can’t make money, their family won’t have any food,” Hayden would reason. Like any special needs mom, Kimberly looked for positive outlets to channel Hayden’s distress. 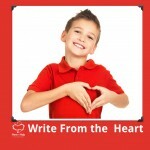 His older brother, Caleb, had a blog and Hayden wanted one too! 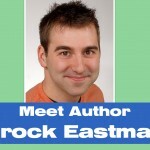 His mom suggested his writing could help businesses get customers. 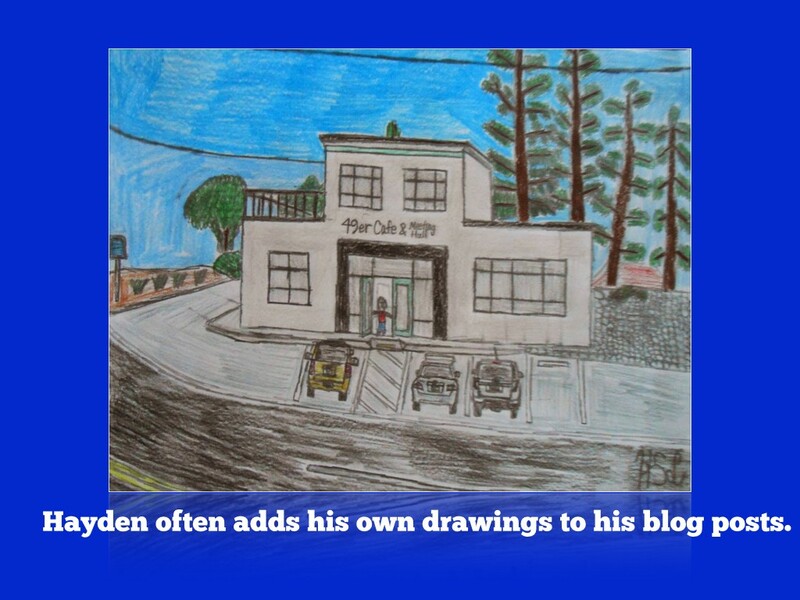 Hayden considered his mom’s idea, “If a business could get customers then they wouldn’t have to shut their doors.” Hayden’s Business Blog was born! 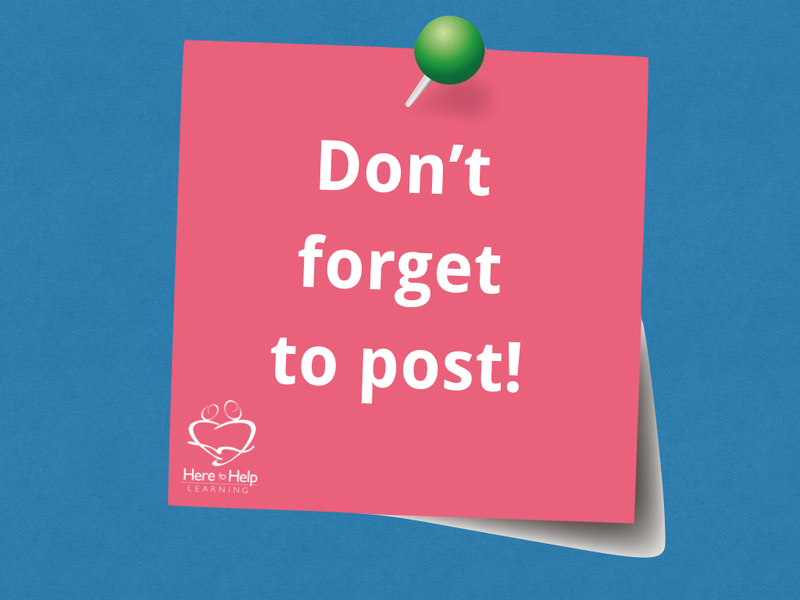 Hayden is a consistent blogger and has blogged since 2013. He even expanded his posts to include business proposals and suggestions. When a Borders Bookstore in Nevada closed, Hayden posted a business proposal to open a Nordstrom Rack store in that vacant building. Today, Nordstrom Rack is doing a thriving business in the very spot Hayden suggested! Coincidence? Who knows, perhaps not! Hayden is a talented artist! In 2014, Kimberly said Hayden struggled with reading comprehension, especially any type of fiction writing. But once Hayden got a hold of biographies, his reading comprehension began to improve tremendously! It inspired Hayden to write a book…….yes, a book. 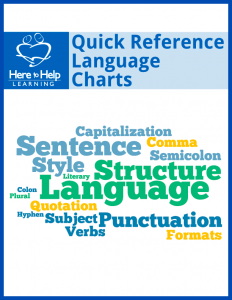 Kimberly began using Here to Help Learning’s Writing Program with Hayden. 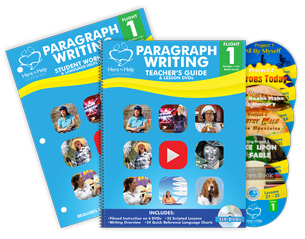 He chose the Essay Writing Flight 3 Write a Book Series. 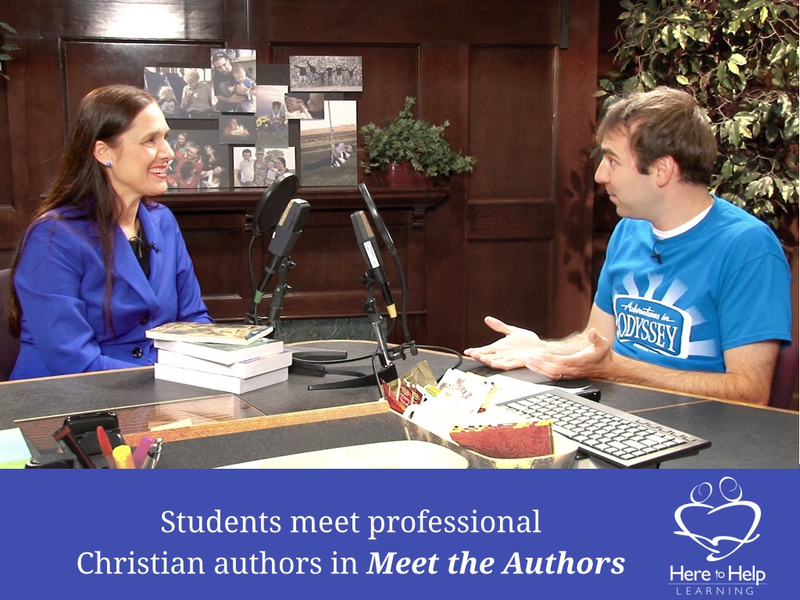 Kimberly also said, the Meet the Authors segment provided Hayden with excellent role models who not only inspired him to write more, but to dream about how God would use him through his writing. “We would watch it together as a family on our lunch break, and we were sorry when it ended,” Kimberly commented. Hayden was inspired by the authors in the “Meet the Authors” segment. Hayden sums up his book writing experience well! 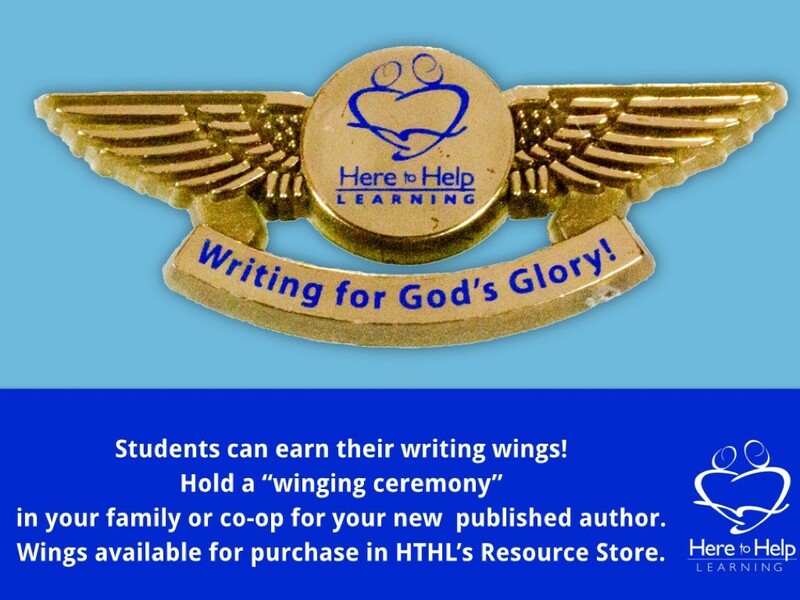 At the end of the HTHL’s Write a Book Project, there is a special ceremony called a “Winging Ceremony“. The ceremony celebrates the young writer’s accomplishment. 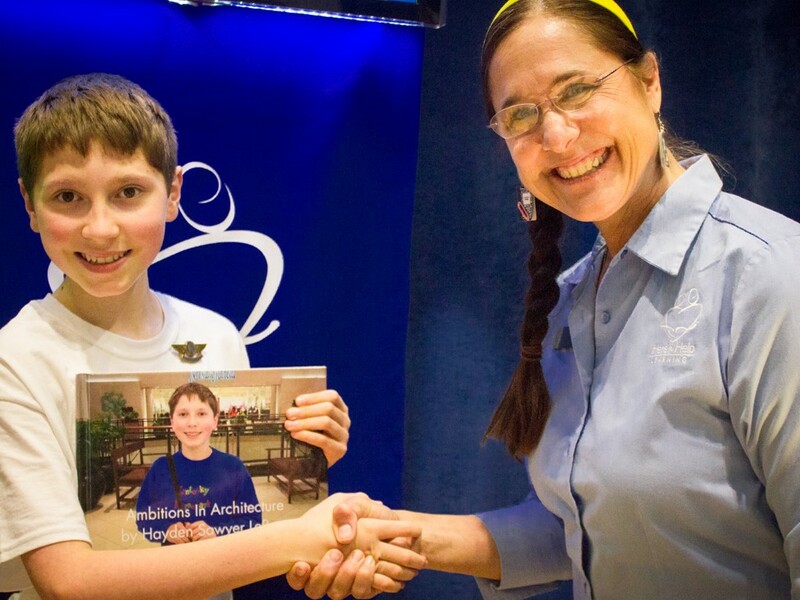 At the VHE Homeschool Convention, Hayden received his HTHL Writing Wings. He was lovingly pinned by his mother, Kimberly while his dad beamed with pride. It was my privilege to shake Hayden’s hand and enjoy his infectious smile! 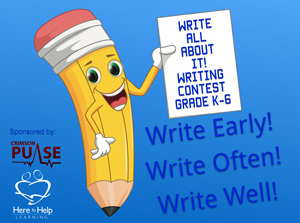 I honestly did not set out to create Here to Help Learning’s Writing Program with special needs children in mind. 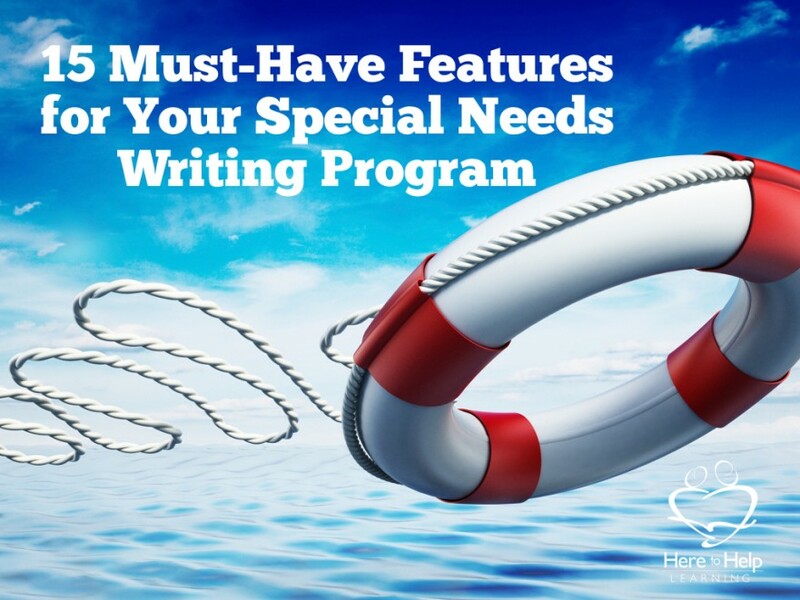 However, it turned out that the features provided in HTHL’s Program meet the special needs expert’s standards for an effective writing program. 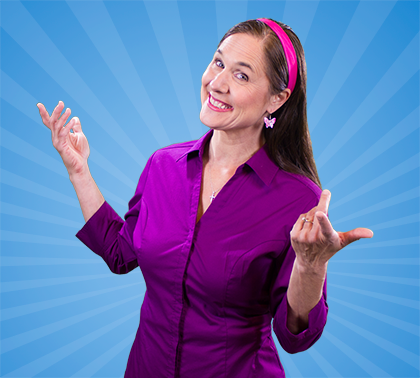 I remember my first letter from a homeschool mom who has a special needs child. 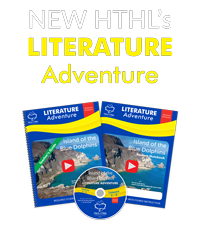 She purchased our program at the Cincinnati Great Homeschool Convention, and even though it was at the end of the school year, she began to use it. Weeks later, while we were exhibiting at the CHAP Convention, I received an email from her (see below). While in the HTHL booth in Pennsylvania, I read her email and tears welled up in my eyes. As a former rehabilitation R.N., her words of encouragement pricked my passion for serving those with special needs. I thought, “God, you are so good!” It was the unfolding of another deep desire fulfilled. At that moment in our booth, another mom of a special needs child was in the process of signing up for the web membership when she noticed my tears. 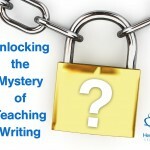 Unbeknownst to me, she had labored in her decision for a writing curriculum. My husband showed her the email. Now she began to tear up. Gaining her composure, she told us that the previous night, she and her husband had prayed together to find a writing program to serve her special needs son. The letter from the Cincinnati mom confirmed she had chosen the right writing program. Here is the letter I received from the Cincinnati mom, Laurie D…. 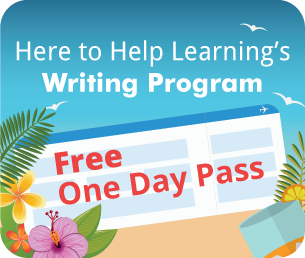 “Here to Help Learning Team, I just want to thank you so much for developing this absolutely amazing writing program! We have an 11-year-old son who has Aspergers, and language arts is a struggle (understatement!) and discouragement for us. We have tried several things, but we have been unsuccessful in finding something that would work for him. With tears in my eyes as I write this to you, I want to thank you for using your incredible gifts that God has blessed you ALL with (each one of you!) to create this program. Even though we are at the end of our homeschool year, we decided to just TRY your program with him. This entire school year, getting him to write even THREE sentences has been a struggle. I’m not even joking. His first Writing Warm-Up resulted in him filling BOTH pages and telling me he needed one more page so he could finish his story! Each Writing Warm-Up since then has been nearly the same! 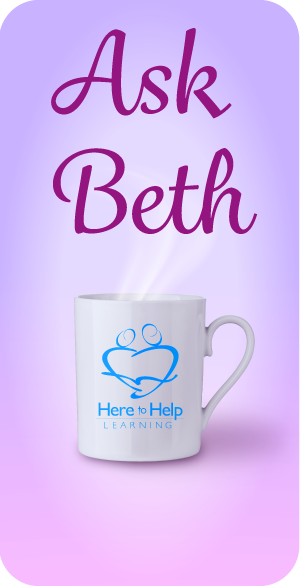 He absolutely LOVES the video lessons and the activities and had the writing process steps memorized after the first lesson.”-Laurie D.
The special needs journey may be unique, but you are not alone. 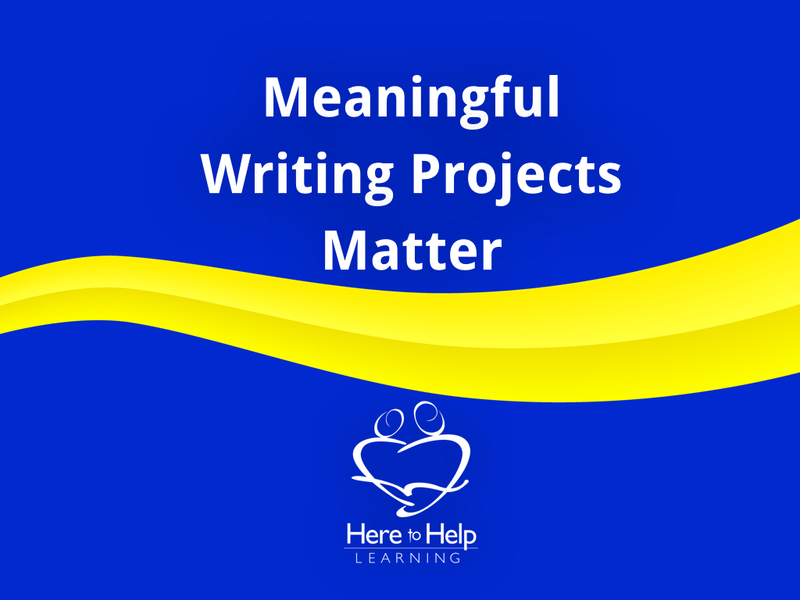 Each special needs journey is different, and each story shared has the potential to unlock the mystery of teaching writing to another special needs child. 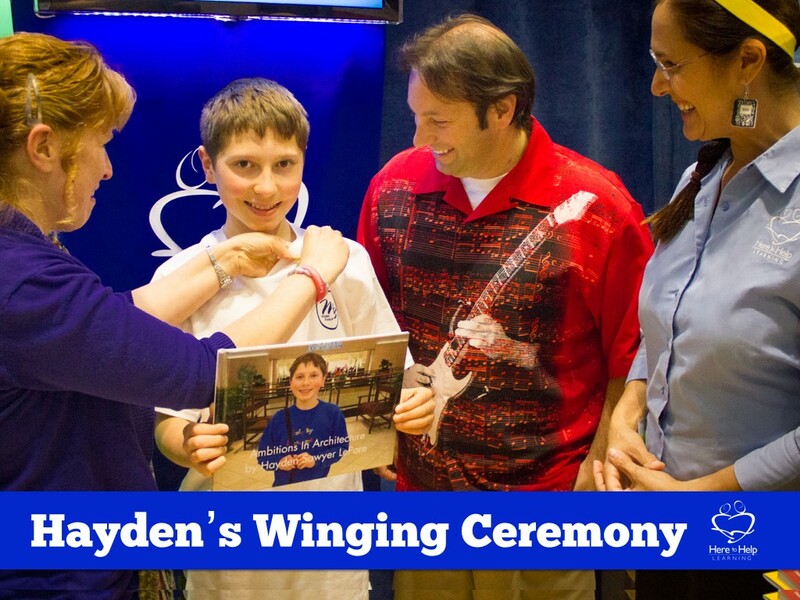 I hope Hayden’s story and Laurie’s experience will encourage you. 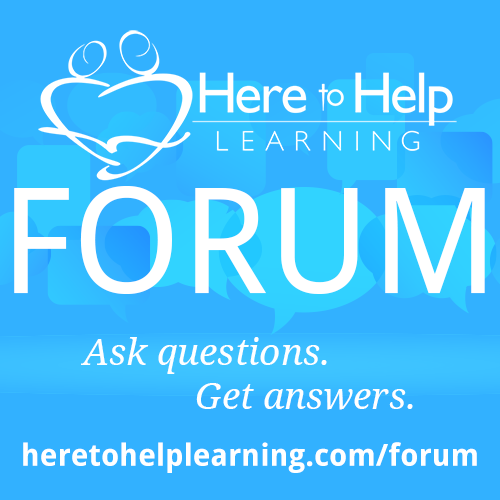 Please post your questions or start a conversation on this blog. 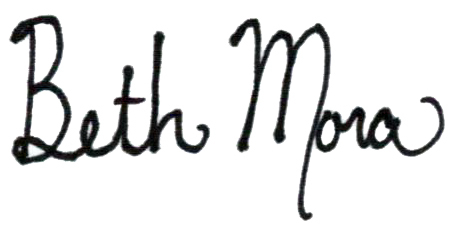 You may also post a private question at Ask Beth . We don’t have all the answers, but we can share the journey and the resources. 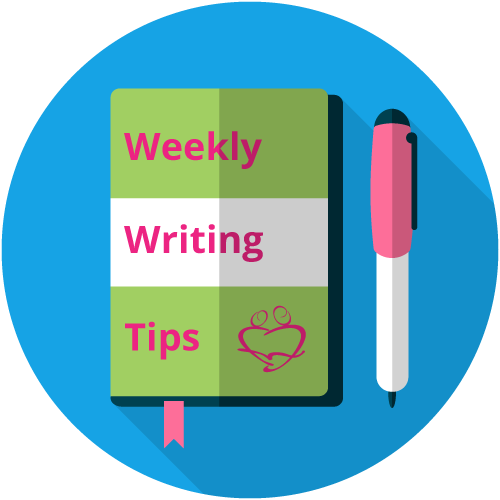 I also invite you to take a moment and visit with Jennifer Janes and read about how she teaches writing to her beautiful daughter who has special needs. Jennifer offers a first hand perspective! Also, could you do me a special favor? 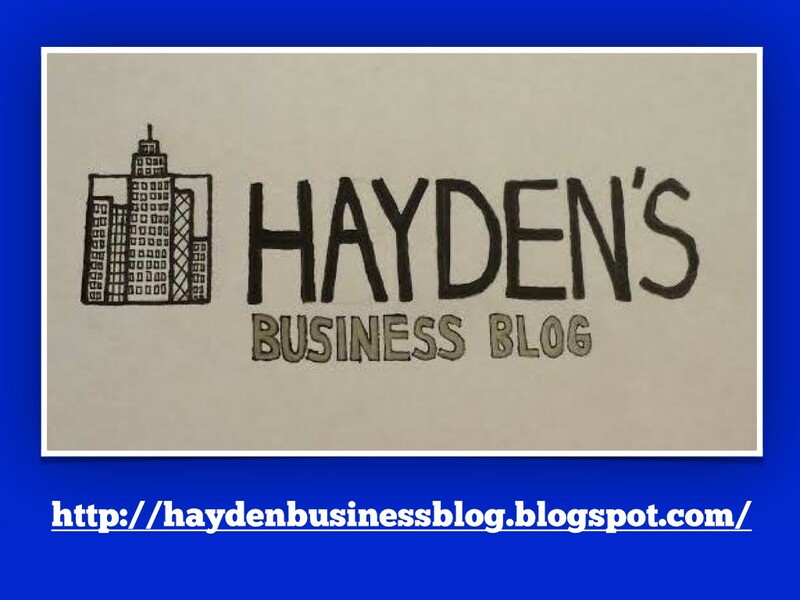 Please take a moment and bless Hayden with a visit to his blog, Hayden’s Business Blog. And also stop by his Facebook page and “like” his page. He checks his analytics every day to see who visits. 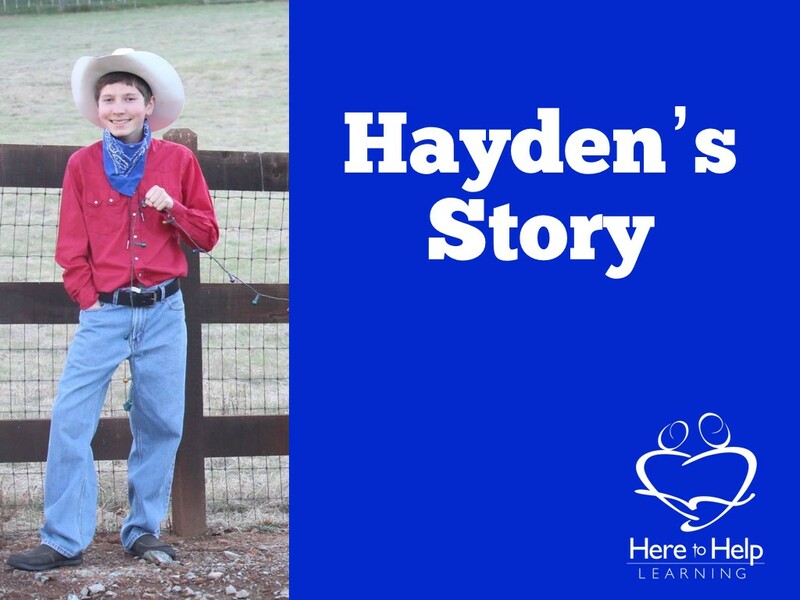 His mom has set his blog to “no comments” to protect Hayden, but you can leave a comment on his Facebook page. Like any blogger, comments and encouraging words are always appreciated. I love spending time with you! Blessings! Let’s talk! 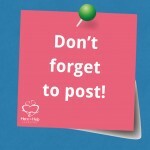 Post a note!